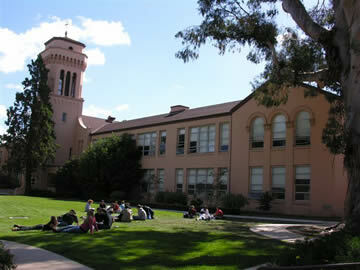 The Sequoia High School Alumni Association was founded in 1985 with an eye to the upcoming celebration of Sequoia’s Centennial in 1995. 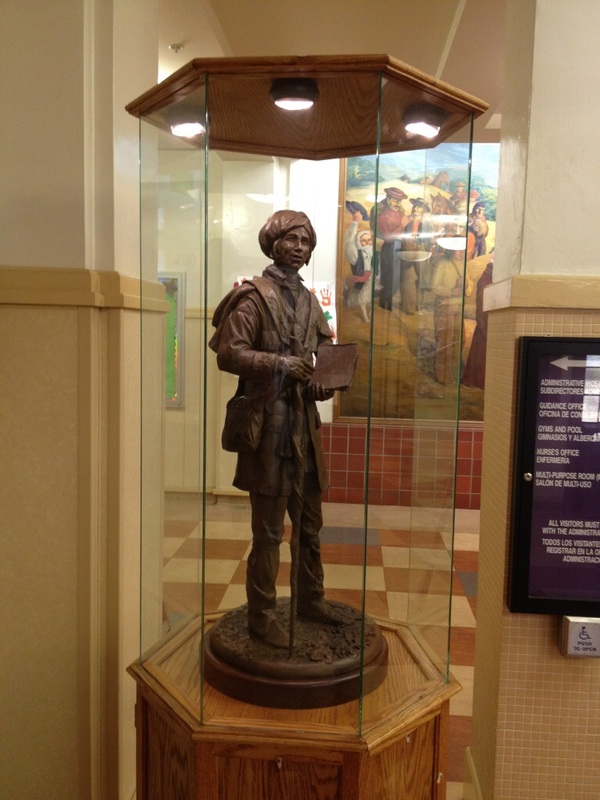 Since then, SHSAA has accomplished many special projects to support and enhance Sequoia High School, our latest to erect a bronze statue of Cherokee scholar Sequoyah. We've also assembled a History of Sequoia High School. To maintain positive and productive relationships among present and former students, faculty, and staff; To promote and support Sequoia’s traditions of excellence in education and community service. The Tiaras and Tuxedos virtual event fundraiser is going on now. Here is your invitiation! You can make a donation, or mail to Sequoia High School Alumni Association, P.O. Box 2534, Redwood City, CA 94064-2534. Thanks for "attending"! We have erected a bronze statue here at Sequoia High School of Cherokee scholar, Sequoyah. The statue is a smaller scale near replica of a statue entitled “Sequoyah the Gift” that resides at Northeastern State University in Tahlequah, Oklahoma. See details about the Sequoyah Statue project. And, read Sequoyah's fascinating biography about how this extraordinary individual accomplished a feat, which no other person in history has done single-handedly, by developing a writing system known as the Cherokee Syllabary. *SHSAA adopted San Carlos High School alumni to give them a place to call home and to find out about their reunions, fellow grads, etc. All SCHS members have a special listing in the SHSAA database. Moving, changed your address or have an item about you or another Sequoia or San Carlos alumni to contribute to Smoke Signals? The next picnic will be held 10:30 p.m. - 3:00 p.m., Saturday, August 17, 2019. Check out the photos from a previous picnic! Listen to the Sequoia Hymn as performed by the Sequoia Choir at the February 15, 2018, opening ceremony of the renovated Music building. This year Sequoia High School celebrates 120 years of local education. See the special Centennial Smoke Signals edition from the fall of 1995. You can also view it as a 'virtual edition', where you can flip through the pages. Read the Sequoia High School newspaper, "Raven Report", at issuu.com/ravenreport. The latest issue is always the first one shown. Note: The name of the school newspaper is derived from Sequoia High School's mascot symbol. Sequoia High School's team name and mascot are two different things, just like Stanford's whose team name is the Cardinal and mascot is the Tree. Sequoia's mascot symbol is a Raven and the team name is the Cherokees. Read a sample of the Sequoia Alumni newsletter.